The Clearfield Customer Service Center is open from 8:00 am until 5:00 pm Monday through Friday (except major holidays). 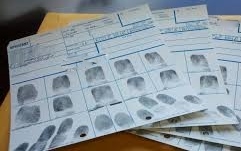 Fingerprinting services are offered on Tuesdays from 9:00 am to 12 noon; and on Thursdays from 1:00 pm to 3:30 pm. Please come in to Clearfield Police Department during these times (no appointment necessary). The charge for fingerprinting, for up to two cards, is $10 for Clearfield residents and $15 for non-residents. Additional cards are $5 each. Please bring a picture ID that includes a proof of residency.